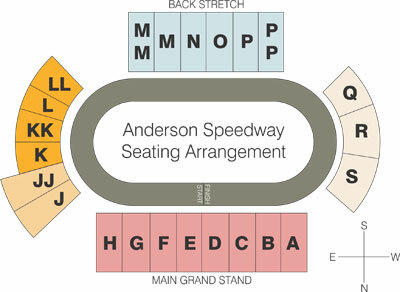 Contact Us - Anderson, Indiana Speedway - Home to the World's Fastest High-Banked Quarter Mile Oval! Anderson Speedway is located off Interstate 69 at Exit 222. Take Martin Luther King Blvd. North for 3.5 miles. Track is on the right! 1311 Martin Luther King Blvd.